HR shared services has emerged from the back office to play a significant role in supporting CEOs’ strategic initiatives. 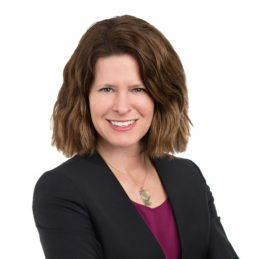 In its new role, HR shared services is no longer just about effective recruiting and career management, but about developing and supporting the organization, ensuring it’s productive, and providing the framework and tools to create improved value-add for the business. So, what drives success and performance, and what sets the top 20% apart? 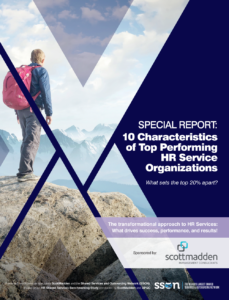 The answers can be found in ScottMadden and SSON’s latest HR shared services benchmarking analysis report entitled “10 Characteristics of Top Performing HR Service Organizations.” Access benchmark analysis and tips from ScottMadden’s leading HR experts, as well as case studies from Turner, The World Bank, and HCA Healthcare. 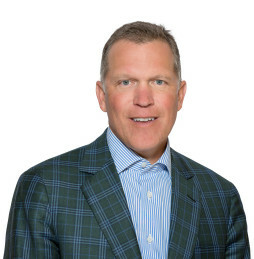 If you would like to discuss the report in greater detail or learn about ScottMadden’s proven for advancing HR capabilities, please contact us.